Welcome to Bike Racing the most addictive racing game! Forget about boring drag races, the crazy tracks in Bike Racing need real skill and will keep you entertained for hours and hours. With your bike you jump over obstacles and race against the time to earn stars in 30 fun packed and challenging levels. The more stars you manage to get the more motorbikes you unlock. So it might be worth going back to levels you already beat just to get that last star you didn't manage to get before. 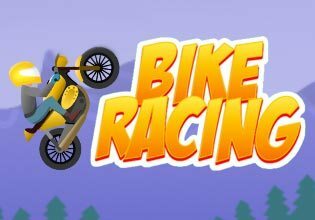 Play Bike Racing now for free, climb hills, jump over gaps and try to unlock all the bikes!